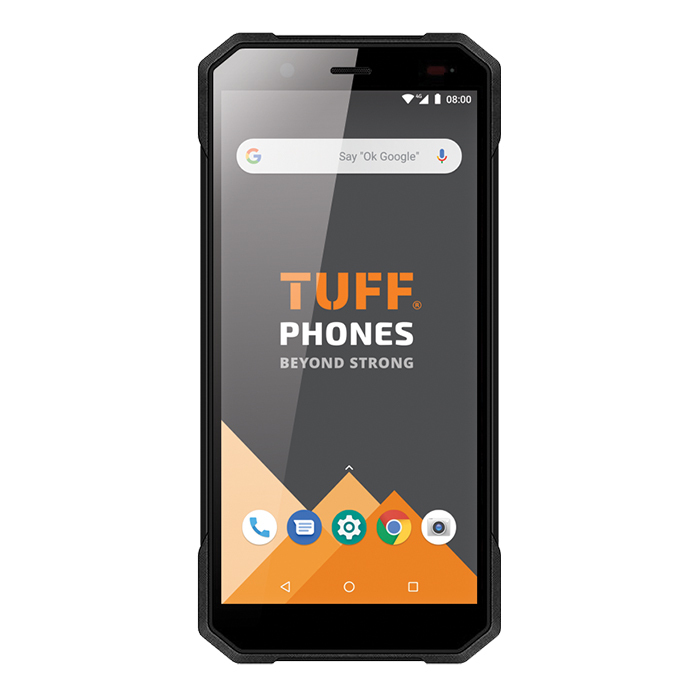 Take a look at the latest handset from TUFF Phones. It’s rugged enough to take whatever you throw at it, with all the features you expect from a modern smartphone. Boasting unparalleled durability; the T500 features an aluminium-titanium alloy frame housed in an incredibly rugged MIL-STD 810G military grade body. Designed for use in all environments, the TUFF T500 is IP69 certified, currently the highest rating available. Fully waterproof, dustproof and drop & shock resistant at heights of up to 1.5m. Water, dust, sand, mud, drops, shocks and extreme temperatures - this device handles it all with ease. Powered by a 1.5GHz quad-core MediaTek MTK6739 processor with 3GB RAM and 32GB memory, the T500 runs Android 8.1 (Oreo), and features a 5.7-inch toughened glass display with an 18:9 aspect ratio thus enabling you to do more, see more and worry less. Running a massive 5000 mAh battery, the T500 offers up to 580+ hours standby time, meaning users won’t have their adventures cut short by a low battery - this is a handset truly built for those that work hard and play hard. The 4G connected T500 offers Dual-SIM capabilities, accepting up to two Nano SIMs, or alternatively one Nano SIM and one Micro SD card - plus the T500 allows NFC data transfer, making it the perfect device for working environments. The TUFF T500 comes equipped with one of Sony's newest generation 13MP CMOS sensors, offering crisp and detailed photos thanks to fast, accurate Phase Detection Autofocus (PDAF) and an LED flash. Paired with a high resolution 8MP front facing camera - the TUFF T500 is the perfect device for those that regularly take photos on the job and for important video calls to work, friends or family. 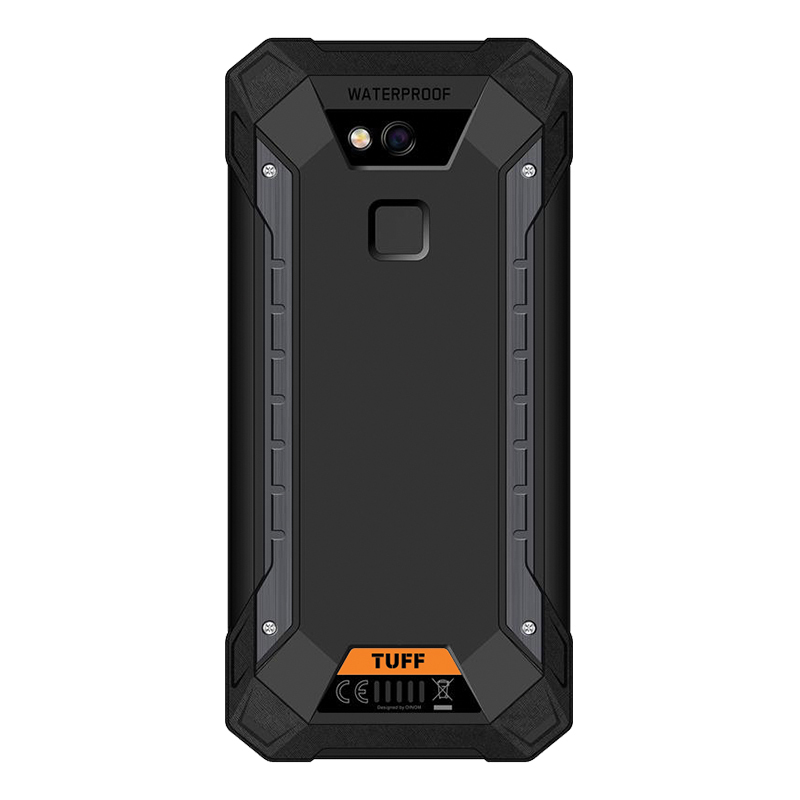 Feature packed with biometric fingerprint security and face unlock functionality, the TUFF T500 blurs the line between the traditional smartphone and what you'd expect from a rugged device. The T500 is the perfect smartphone for those who spend their time in the harshest working environments. Farmer, builder, plumber, carpenter or simply an outdoor enthusiast - this robust, powerful and smart handset will see you through your day-to-day without complaint. Subject to credit approval. Prices correct at date of publishing. We reserve the right to remove this offer at any time. Terms and conditions apply.